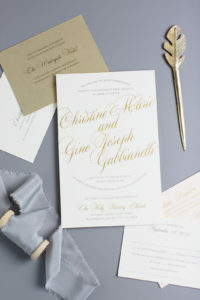 Guests were invited to Abby & JJ’s GORGEOUS winter wedding planned by Terry Kaye with a true hint of what was to come. 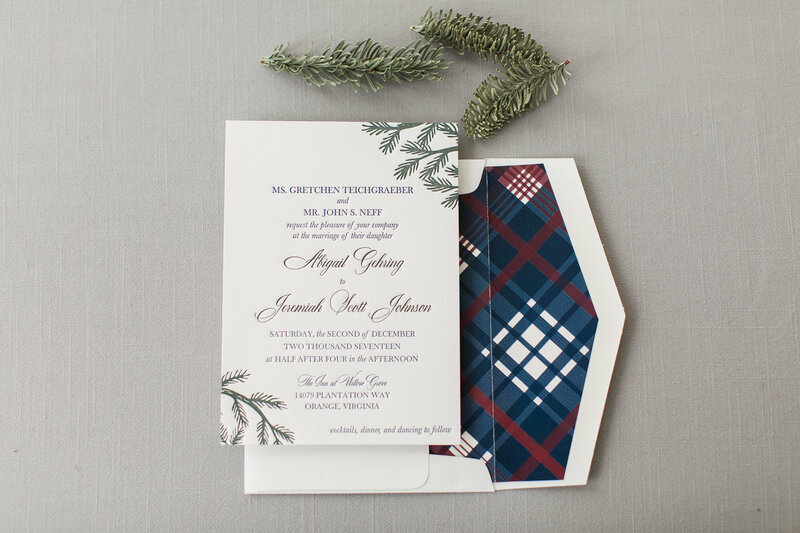 Red and blue plaid patterned envelope liners resembled ribbons used in the floral arrangements and bowties on the dashing men. 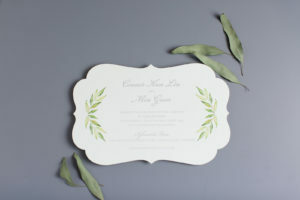 Evergreen branches in a dusty olive green felt warm and welcoming. 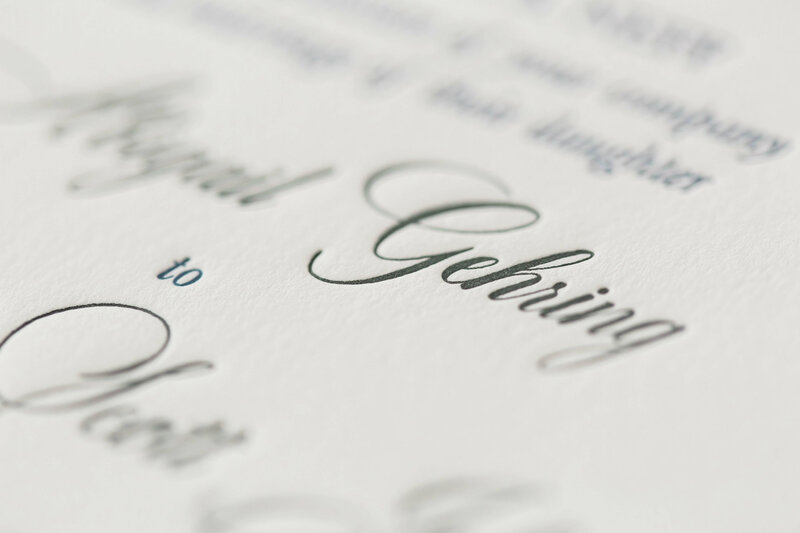 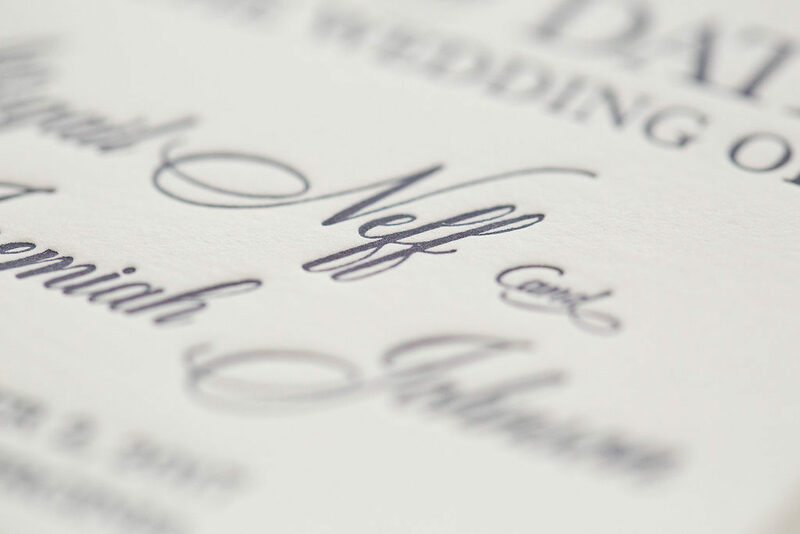 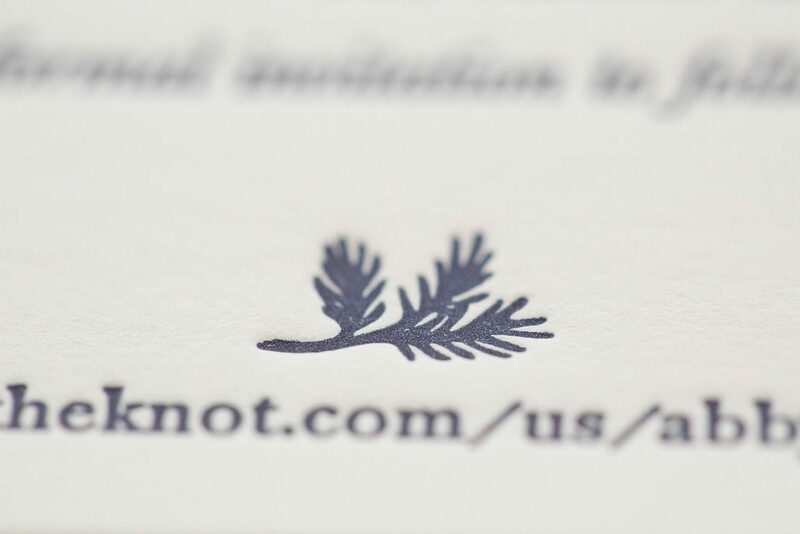 Lettterpress printing provides a deep impression on beautifully “fluffy” Crane’s Lettra paper. 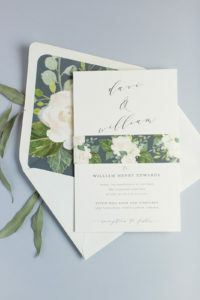 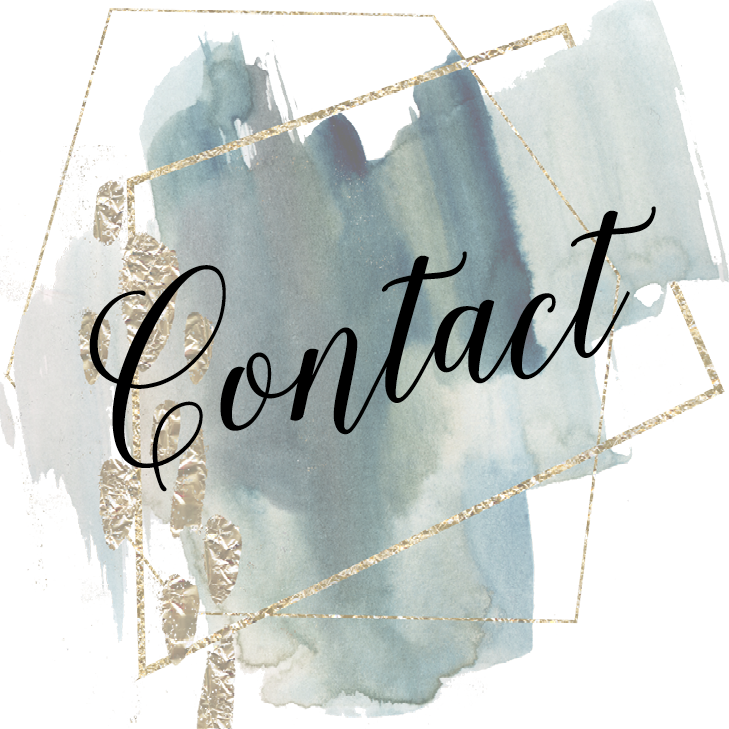 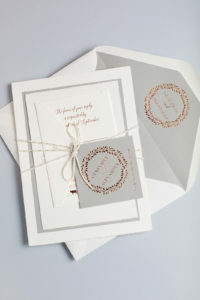 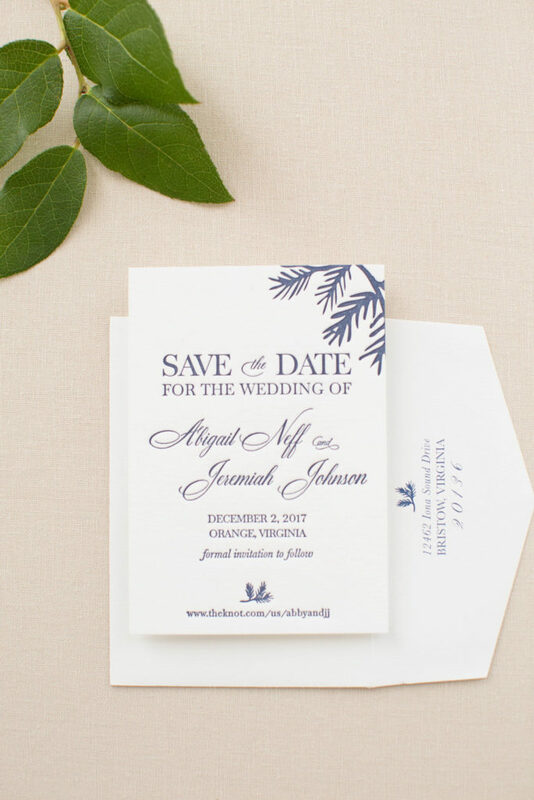 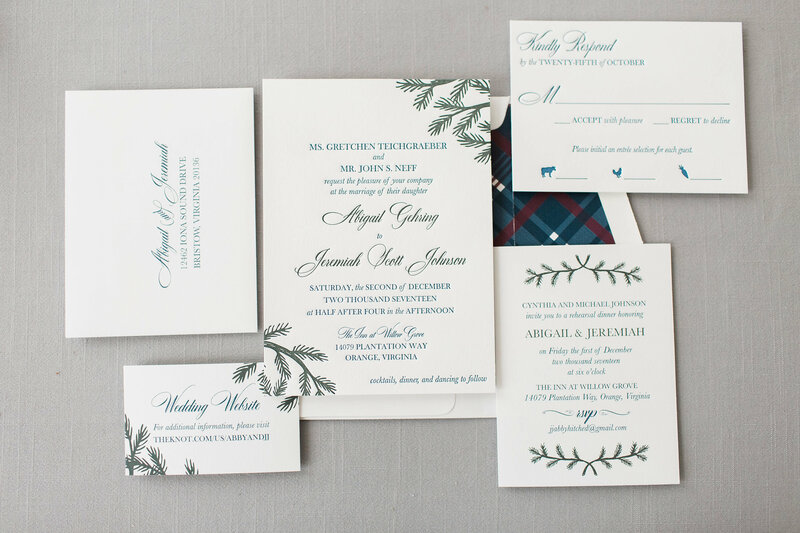 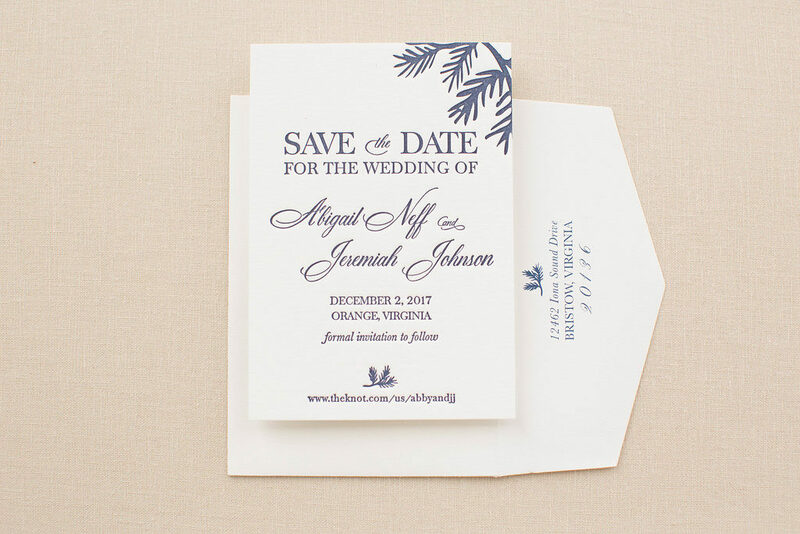 Before these went out, though — the most adorable little save-the-date card was designed in a matching theme. 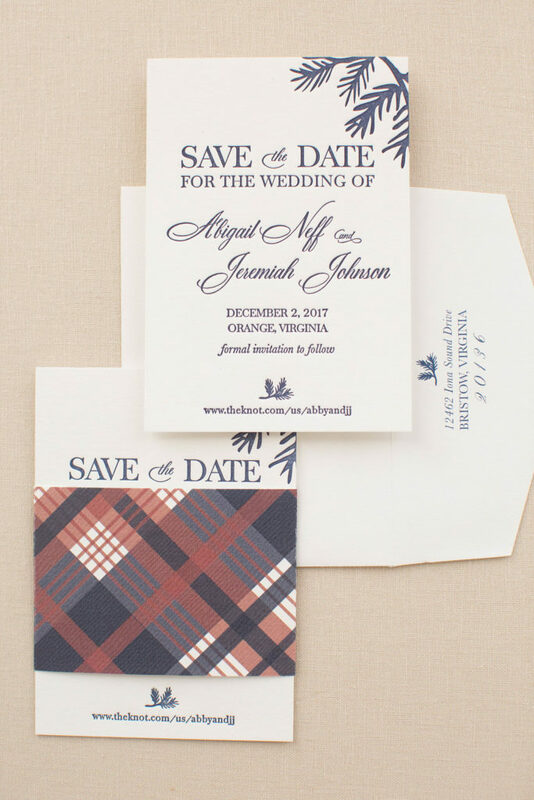 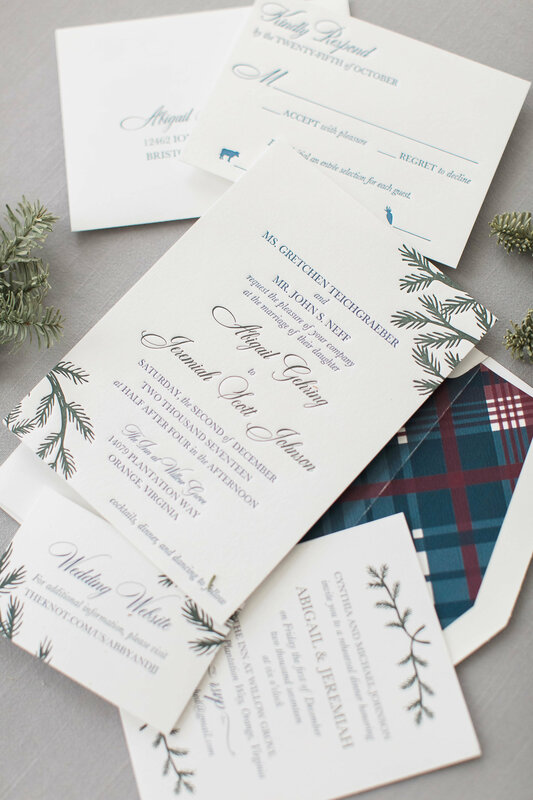 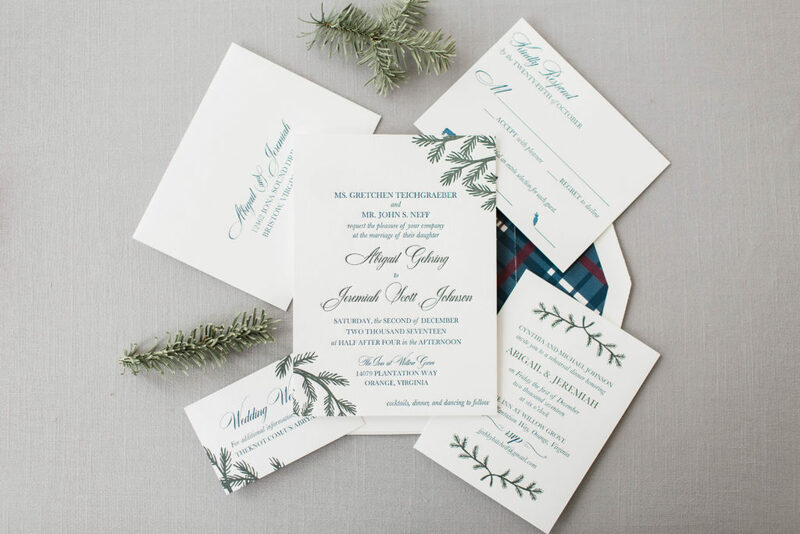 Instead of the plaid envelope liner, though, we wrapped the card with the beautiful pattern.